DeWitt created a subject guide all about interlibrary loan. Click here to learn about ILL policies, wait times, renewals and the like. 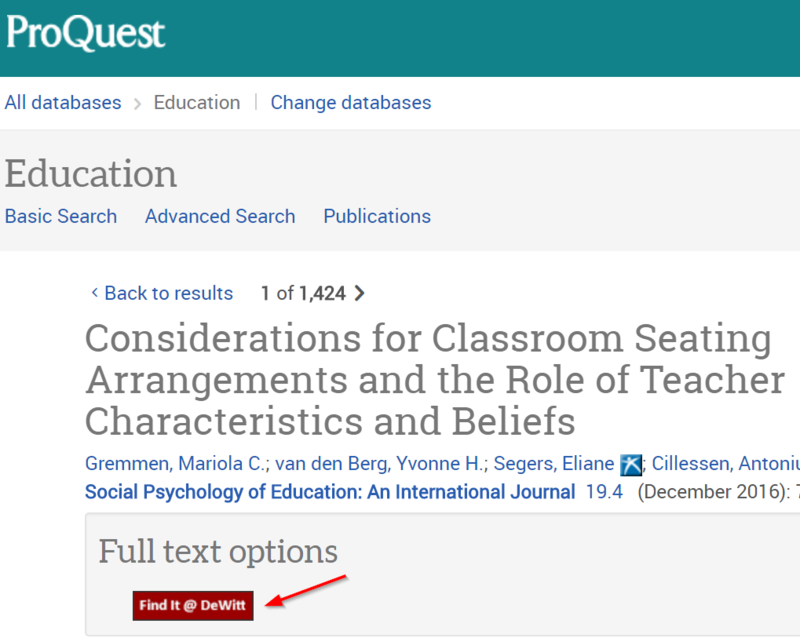 When researching your topic, you may find materials you are interested in that are not available full-text. 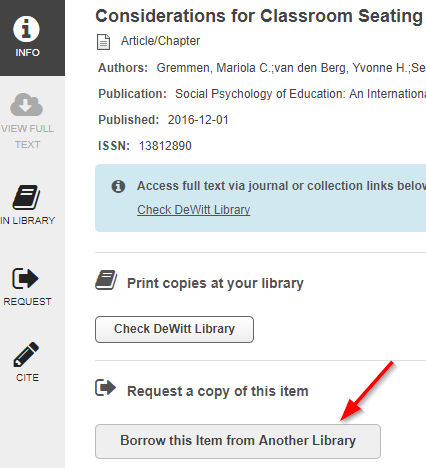 Click on the Find It @ DeWitt link to access full-text from another database or request the article from Interlibrary Loan. The Borrow this Item from Another Library link will direct you to the Interlibrary Loan login page. Enter your Northwestern network username and password, then click Sign In. The request form will be populated with your article information and then click Submit Request. When looking up your topic in WorldCat you may find books you are interested in that are not available in DeWitt's collection. For those titles there will be a link called: Borrow this Item from Another Library. 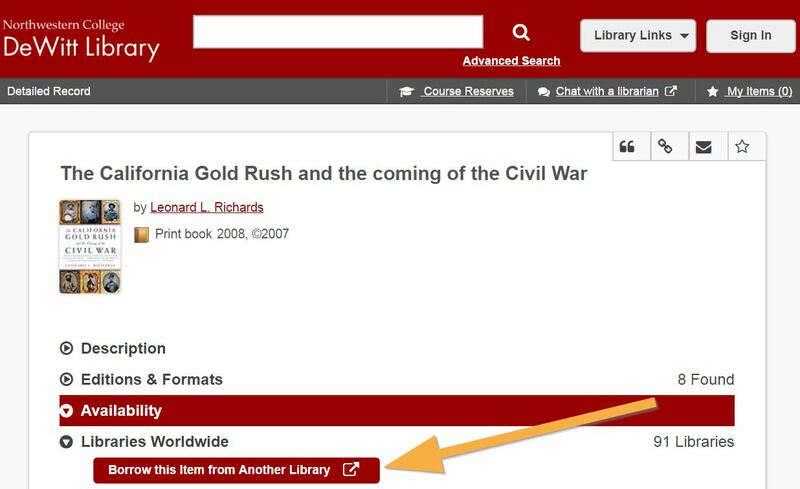 Once you click this button you will be directed to the Interlibrary Loan login page. Enter your Northwestern network username and password, then click Sign In. The request form will be populated with your WorldCat request information; you simply need to click WorldCat request information; you simply need to click Submit Request.